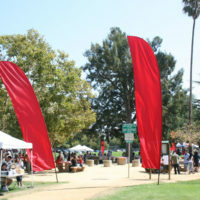 Our big, beautiful festival flags let everyone around know that there’s fun afoot and it’s right here! These awe inspiring flags are the largest portable flags available. We know, we designed them! 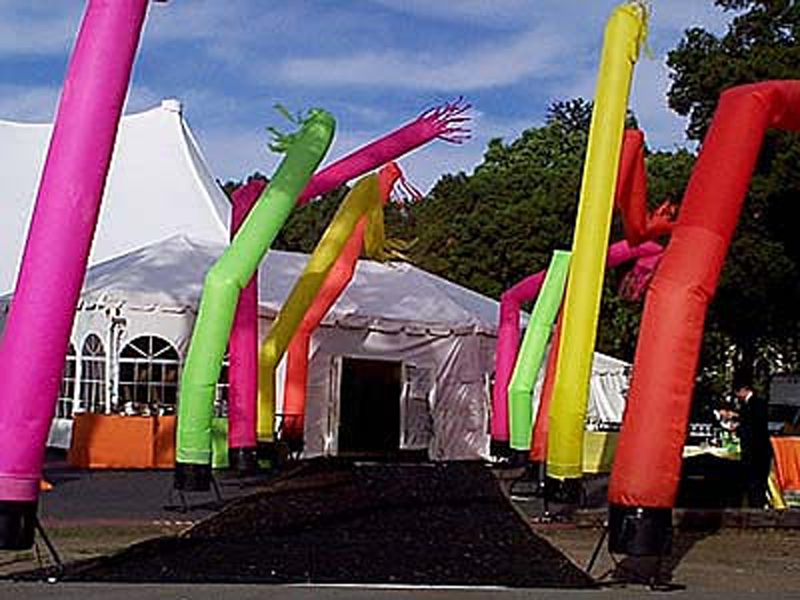 We can offer you our standard primary colored 30’ tall festival flags, or we can create something extra-special using your company logo or other customized artwork! 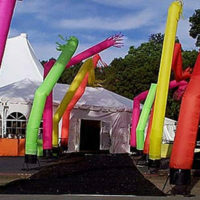 For events in large parks, there’s nothing like helping your guests find their way to the party. 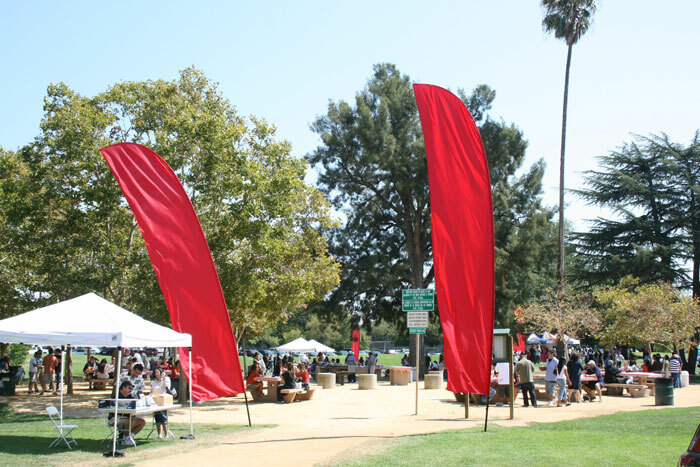 Everyone knows where the fun starts with our big, beautiful festival flags. They also help identify separate zones within a larger party area. 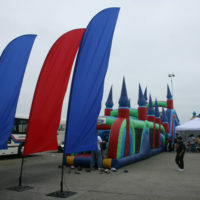 They are the largest portable flags available in the Bay Area. We know — we designed them ourselves! 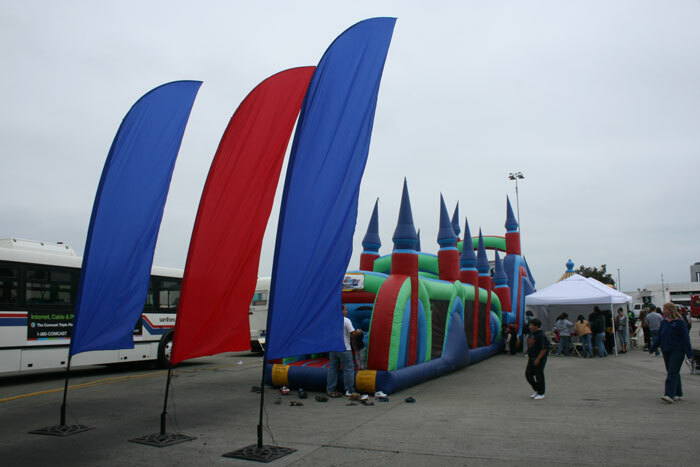 We offer standard primary-colored 30’ tall festival flags or we produce customized flags with your company logo or other artwork. Powered by heavy-duty fans, our large sky-dancing tubes have a life of their own as they undulate and sway above the party. Place them at the entrance to draw attention or add them as whimsical atmosphere to your playful picnic.